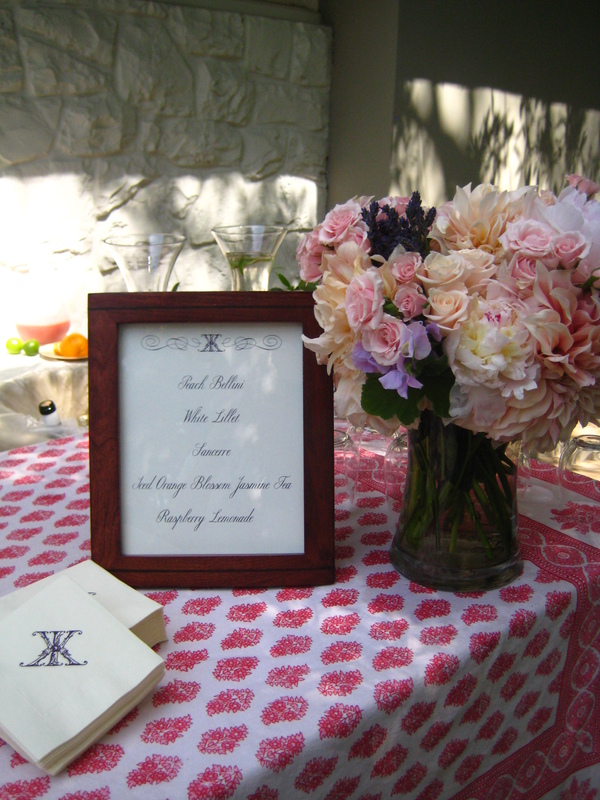 Last weekend, we created a delightfully groovy bridal shower. It really turned out swell. 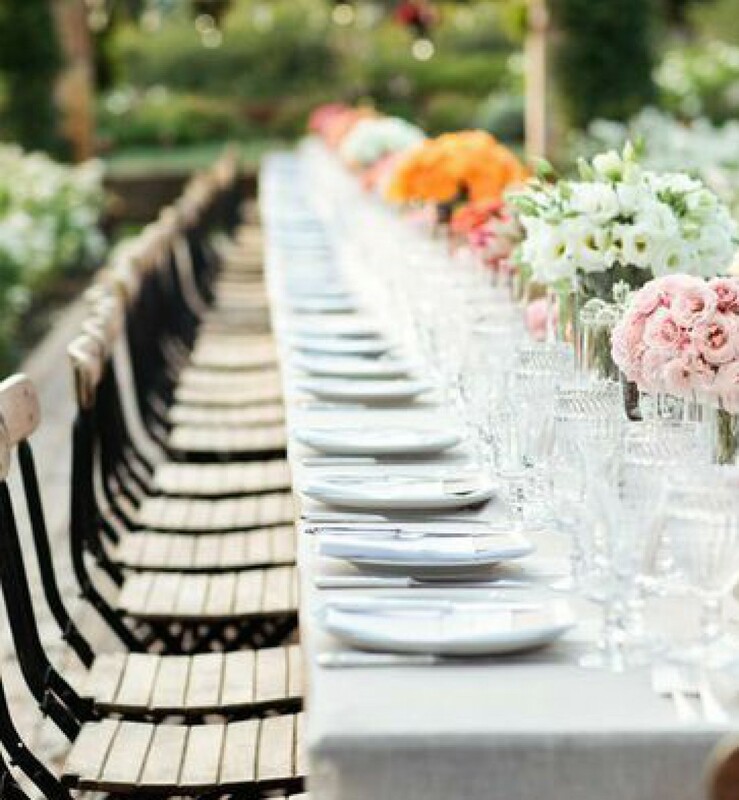 The client had envisioned a 60’s Boho type hippie atmosphere (“you know, long flowy dresses and wreaths in your hair”) in a Beverly Hills garden, how fun is that? 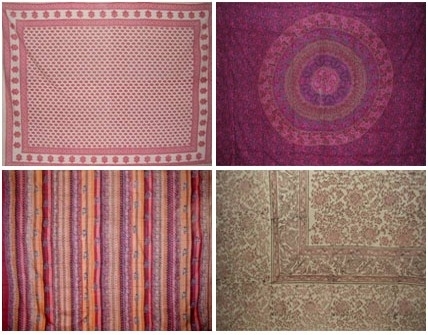 Check out the cool fabric suite we made pillows with. Upon arrival, guests were treated to lemon verbena water, raspberry lemonade and iced orange blossom jasmine tea poured from glass pitchers which were embellished with bunches of lavender and basil. 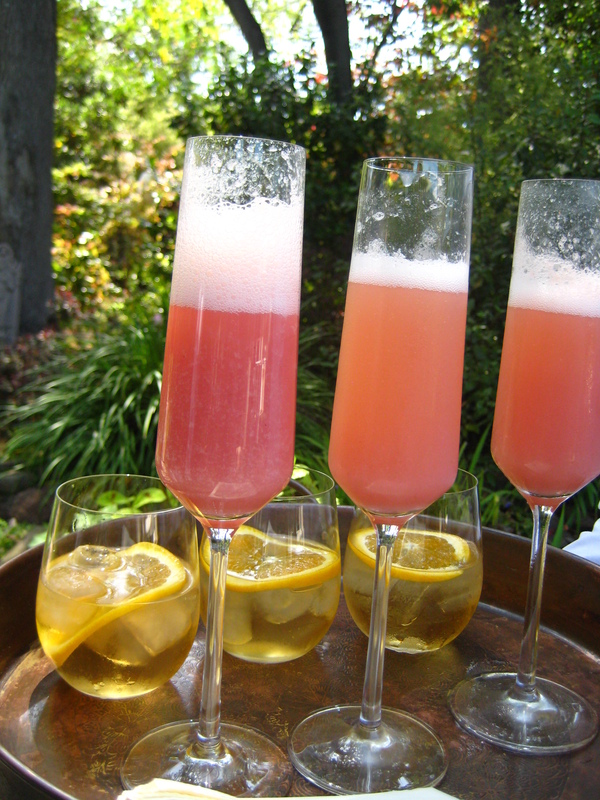 The servers passed Bellinis (amazing, I might add, with fresh farmer’s market peaches pureed) and my favorite summer drink, Lillet, garnished with a slice of orange. 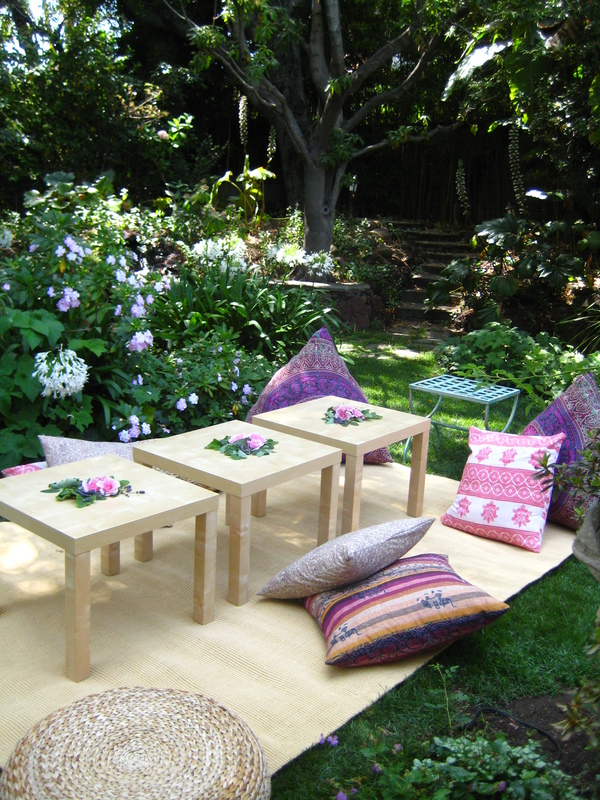 The guests sat atop woven stools on the grass and big comfy pillows custom made with Indian inspired tapestries (I think I was channeling the Beatles in India when I went fabric shopping). The menu by FoodInk Catering consisted of fresh summer fare of chilled shots of cucumber gazpacho and a salad of bresaola, artichoke hearts and shaved ricotta served in Chinese take out boxes. 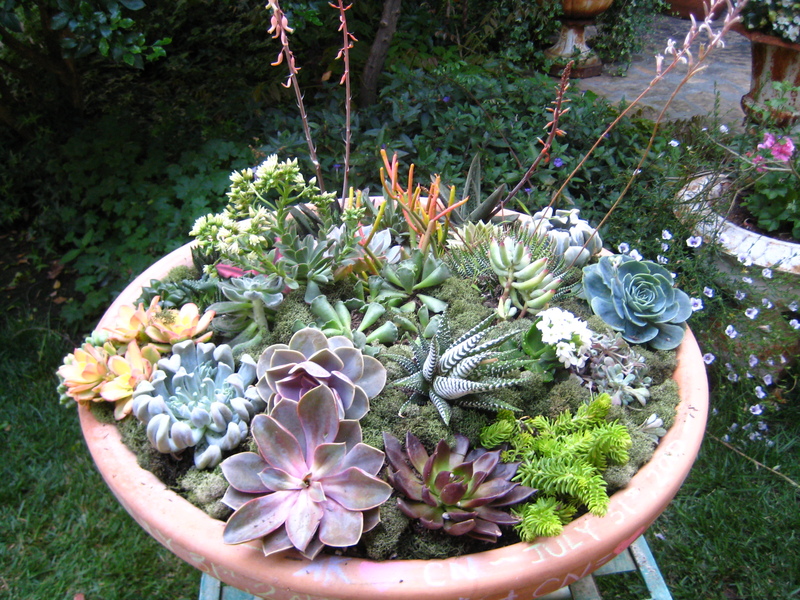 Thoughtfully, each lady guest brought a succulent to put together a “love” planter for the husband and wife to be. Being that it is spring, the floral selection is amazing. 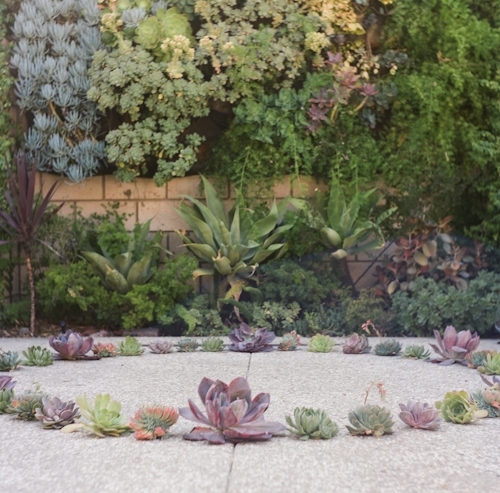 The arrangements designed by the brilliant Kimm Birkicht of The Velvet Garden were stunning. 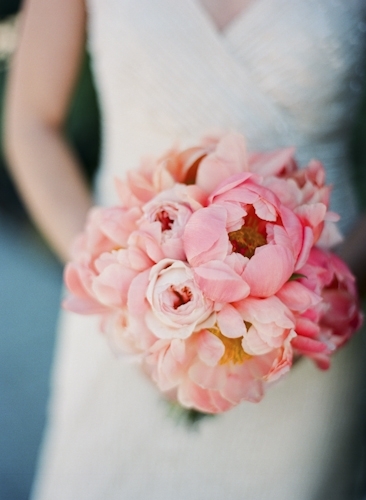 The dahlias, peonies and garden roses took our breath away. 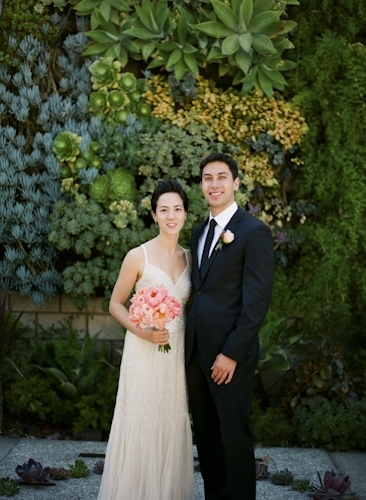 The bride-to-be even wore an angelic head wreath made of spray roses, ivy and lavender. No games were played (whew), but the guests took mini Polaroid pictures and wrote words of advice to compile in a journal for the guest of honor. During the gift opening, blood orange sorbet, chocolate gelato and rose petal ice cream were passed around in mini ice cream cones. Coffee was served with to-die-for macaroons and raspberry-topped double chocolate brownie bites (covered in ganache). A perfect day in every way. Now I want some Lillet!